When I was in the Navy, being salty referred to being experienced. It was an oft joked about phrase because the first few years I was on the USS Jimmy Carter, it was on blocks inside a building. We were concerned about knowing enough and being good enough so that it didn’t look like amateur night when we first went to see in a very expensive new vessel. In some circles, salty is a term that refers to crassness. One may speak in salty language, which probably comes from sailors, too, who have been known to swear fluently. I can attest that I’ve known a few experienced sailors that could do so quite well, though that skill is far from exclusive to mariners. Both of these uses of the term salt refer to a distinctiveness of the salty person of the salty language. When the authors of Scripture use the term salt, they are also getting at distinctiveness. In Christian contexts, though, the distinctiveness of saltiness is viewed as a positive contrast to the sin of the world. According to Robert Stein, in the New Testament, "salt" refers to the characteristics of Christians as disciples. He affirms that in the Sermon on the Mount in Matthew 5:13-14, that is clearly the meaning of the term. Christians are to be distinct from the world. We need to look no farther than Paul’s oft quoted command to the Roman church in Romans 12:2, “Do not be conformed to this world.” Being distinct is a good thing. There is a paradox in being Christian in this world. We are to be in the world, but not of it. We are citizens of our nations, but ultimately owe a higher allegiance to God. We will use the accepted professional techniques in our work, but remain distinctly Christian in our motivation. We are to participate in the work of the world without succumbing to its temptations. We are to utilize our regular lives to illuminate the distinctiveness of the gospel. This is what salt does. When you add salt to your food it doesn’t become a different sort of food, but it sure tastes better. I once ate with a family in which a member had had significant heart trouble. They cooked and ate without salt in their food. I decided that I liked salt a lot in that moment. But unsalted meatloaf is still nourishing. It may even be healthier. Salt is useful when it is salty, but when it isn’t salty it is worthless. That’s what Jesus is talking about in the Sermon on the Mount. Christians risk so much of importance when they lose their distinction from the world. That’s part of the reason I reject the idea of America as a Christian nation. There are certainly strong Judeo-Christian influences in the culture in which our nation was founded, but it never has been a Christian nation. To argue that it has been a Christian nation is to accuse Christianity of the massacre of Native Americans and the sustenance of racially based chattel slavery. These are distinctly anti-Christian practices. Obviously, some Christians got sucked into them and even defended them. However, these violate the very principals of Christianity. They are evidences of occasions that people that claim Christ sacrificed their saltiness for political or material gain. We are over-proud when we make the assumption that we are not swimming in a cultural sea of temptation to lose our saltiness. Those gross violations of Scripture may be in the past, but we face new errors today. Faithful Christians must fight to retain their saltiness. We must work to avoid conformity to the incorrect practices of this world. A failure to do so may cost us, and the Church, a great deal more than we should be willing to risk. It may cost us the ability to freely proclaim the gospel. It may result in an environment in which the gospel is so buried with baggage that we have to debunk Christian-created myths before we can ever share the wonder of redemption with someone. We need to fight to be salty. Danny Akin preached a powerful sermon a few weeks ago in the chapel at Southeastern Baptist Theological Seminary. It expands on this topic and proclaims in light of a call to missions. William Cary often gets credit for being the first Baptist sent as missionary to the nations. He certainly deserves credit, along with pastor Andrew Fuller, for kicking off the modern missionary movement. Adoniram Judson frequently is identified as the first American missionary for leaving the shores of the U.S. in 1812. However, he isn't the first missionary to leave this land to go overseas, nor the first Baptist. Judson is important, but there was a Baptist missionary that preceded him. The title of the first Baptist missionary actually belongs to a black man from colonial America named George Liele. Liele was born a slave in the colony of Virginia in 1750. He converted to Christianity in 1773 in the church of his master, Henry Sharp. He gained his freedom in 1778 from Sharp so that he could preach the gospel. In 1783, since he had sided with the British in the revolution, in order to be evacuated from America with British troops, Liele became an indentured servant in exchange for his family's passage to Jamaica. After a short time he repaid his debt and was freed again. He then turned his attention to preaching the gospel to the slave population of Jamaica. Liele was persecuted by the plantation owners of Jamaica for preaching the gospel. But he continued to preach the gospel. Although he pastored many years, he did not rely on his pastorate for his income but worked as a teamster/hauler and farmer to support his livelihood. Liele is an impressive example of a faithful Christian and an important figure in black history. Below you can watch Danny Akin's tribute to Liele in the form of a sermon on the text of Galatians 6:11-18. Preaching from Galatians 6, Dr. Akin speaks about the marks of a cross-centered ministry and how these marks are seen in the life and ministry of the first Baptist missionary to the nations, George Leile, a former African slave who planted the Gospel in Jamaica. 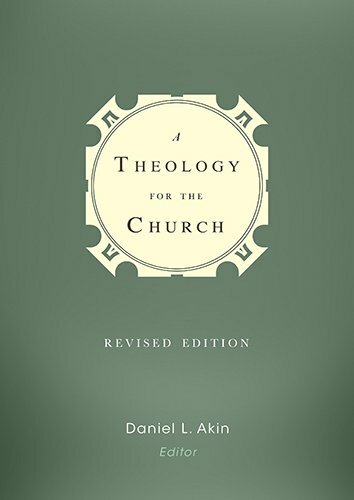 Only seven years after the first edition of Danny Akin’s A Theology for the Church, B & H Academic has issued a revised edition. I read the first edition when it came out and have been interested to see what changed. One of the best changes about the book is the formatting. The revised edition is a larger format with more information on each page. Personally, I find this change beneficial and the newer edition feels like it has more room to breathe. For the seminarian reading thousands of pages, typeface and formatting really do make a difference. Four chapters saw significant changes in this revised edition. The theological method chapter was replaced by a newly written chapter by Bruce Ashford and Keith Whitfield. They commend a missional approach to theology, which tries to root the study of theology in the greater picture of God’s redemptive work through the whole of Scripture. In my opinion, this is a helpful approach, as it avoids some systemic pitfalls that come from an overly emphatic interest in some particulars of Scripture over others. It also tends to avoid the abstraction that is native to some philosophical approaches to theology. Chad Brand’s chapter on the work of God is a helpful new chapter. Additionally, David Dockery revised his chapter on Special Revelation and John Hammett updated his chapter on the Doctrine of Humanity. These new chapters include more recent scholarship and some improvements over the previous offerings. In particular, Hammett’s chapter shows the fruit of his ongoing work toward a monograph on the Doctrine of Humanity. The chapters are staged to ask for main questions, in this order: “(1) What does the Bible say? (2) What has the church believed? (3) How does it all fit together? and (4) How does this doctrine impact the church today?” Scripture is given preeminence in the discussion, but not to the exclusion of history, system, and application. This is a healthy thing and helps make the volume a valuable introductory resource. Each chapter has a separate author, so this is a Systematic Theology text by committee. Beginning with four constant questions helps prevent this from becoming a structural Frankenstein. Akin and the other editors did well to ensure the chapters stay true to the formula, which provides cohesion in the chapters. One real advantage of this approach is that the authors often specialized in the topics on which they wrote. It also means they were able to drill down into one doctrine and do more thorough research (or as thorough research in a shorter time) than one theologian could do in a comparable volume. Each of the chapters, then, is lively and well researched. There are two weaknesses of this approach. First, the theological diversity of the authors prevents it from being a truly systematic theology. In other words, each author has his own theological system that he brings to the table. While there is unity in this diversity, it is a somewhat less cohesive unity than would be possible with a single authored Systematics. The second weakness is that the writing style of each chapter is different, which it makes it harder to get into a reading groove. This can make sustained reading somewhat more laborious. Despite these weaknesses, which are native to the approach and not problems unique to this volume, the diversity adds value. Not only, as discussed above, does it allow for more thorough and timely research, but it ensures that one individual’s system does not overrun the text. While there are distinct advantages to single authored Systematics, in the sometimes divisive world of Baptist thought, it is good to see men with different perspectives on a host of issues working together to do theology for the church. Both editions of this text have been, as the title claims, A Theology for the Church. The preposition in the title is hugely important, as it is not a theology of the church or to the church, but one designed to be accessible for the church. In other words, unlike many Systematics, which are written by theologians for other theologians, Akin’s text was written with the intelligent but theologically untrained in mind. Thus it does not get caught in jargon and leave insider references unexplained. It is crafted so a person in the pew can pick it up and benefit from it. Because of that, it makes an outstanding introductory Systematics for a Bible college or seminary. The one improvement that could be made, if there is another edition released, is to add a glossary to the back. While the indices are helpful and the chapters are written well, that would make this an even more beneficial reference volume. If you are theologically inclined, or thinking about seminary in the future, this is a theology text I would recommend as a place to start. It is accessible, orthodox, and sufficient to make a sound beginning in the study of theology for the benefit of the church and the glory of God. Note: A gratis copy of this book was provided by the publisher with no expectation of a positive review.